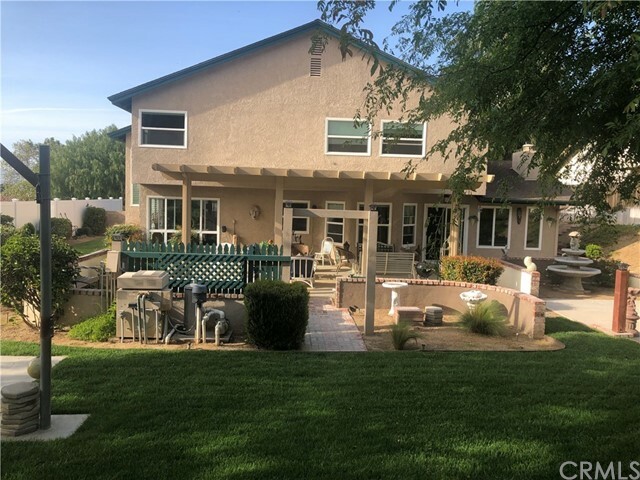 All Grand Terrace homes currently listed for sale in Grand Terrace as of 04/20/2019 are shown below. You can change the search criteria at any time by pressing the 'Change Search' button below. If you have any questions or you would like more information about any Grand Terrace homes for sale or other Grand Terrace real estate, please contact us and one of our knowledgeable Grand Terrace REALTORS® would be pleased to assist you. "Amazing, custom -built, Mediterranean style 3-level home w/ panoramic city lights view nestled in the foothills of Grand Terrace. 4 master bedrooms and 1 master suite! 5 full bathrooms, 2 half bathrooms! 4829 SF, 30,000 SF lot. RV parking w/ power & dump. Custom entry door, 20 -inch tile flooring throughout. Custom crown molding throughout. Recessed lighting, Custom baseboards,50- gallon water heater. Triple -bullnose granite counters throughout. Italian porcelain throughout. All bedrooms are master bedrooms w/ their own huge bathrooms & incredible views! The chef s kitchen features commercial grade appliances including 5-ft wide , 6-burner Jenn-Air oven & griddle, Cherry colored cabinets, massive island w/ bar overhang, stainless sink. 8-inch deep drawers, breakfast nook & walk-in pantry. Custom ceiling fans throughout. Living room has media niche & dual-sided fireplace. Custom wrought- iron banister & wide staircase. Deck off master suite is approx. 70 x 13 w/ wrought-iron railing. Master Suite has 2 walk-in closets (approx. 10 x 12 and 9 X 13). 8-inch crown molding, stacked stone gas fireplace. The master suite bathroom has Italian porcelain tile, resort style shower, jet tub, dual sinks & powder area. 2 washers & 2 dryers, 3 electrical boxes, 3 A/C s. Finished 600 SF room (permitted) under the garage w/ 220 v, built-in bookcase, commercial sink. 3-car garage." "Luxury home in exclusive Honey Hills. Built by one of the original executives of the Miller Honey Co. No money spared in the quality of this spacious panoramic view home. 1 bedroom next to garage has its own bath. 3 bedrooms on the other end of house have 2 full baths. Orange, avocado, fig, and lemon trees." "Attention builders! 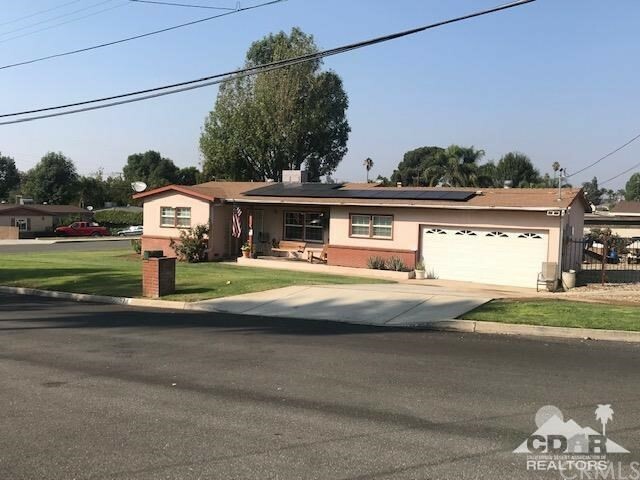 Classic farmhouse in prestigious Grand Terrace sits on a level 1 acre corner lot perfect to build 4 more homes or just enjoy the privacy and seclusion of this beautiful 100 year old home! Lovingly updated with fiberglass siding, newer roof, paint and bath and a beautiful front door with sidelights, while retaining the charm of the original cellar, ice room, real wood wainscoating, crown molding and beautifully manicured front and back yards. The old barn has been converted to a 3 stall garage, one of which has a recessed pull over area to make repairs a breeze! There is a gorgeous stone fireplace in the living room and a brick fireplace in the kitchen with a separate built-in barbeque. The unfinished cellar is accessed through the kitchen floor and there is an indoor laundry and an ice room (now used as a pantry) off the kitchen. Dont miss the little sewing room off the entry, the pull out shelves in the kitchen, the built in dresser in the downstairs bedroom and the 2 upstairs bedrooms, one of which could easily accomadate a balcony! This is a unique property so call today for a private showing!" "A rare find in Grand Terrace!! This lovely 4 bedroom, 3 bath home nestled at the base of Blue Mountain has both style and grace. Hardwood floors and tile throughout, wood stair case, remolded bathrooms with custom paint, newly tiled showers in all 3 bathrooms with granite countertops. Gorgeous shutters and French doors, in door laundry room and one-bedroom downstairs. Immaculate front yard with low maintenance artificial turf and beautiful back yard with a 45 x 15 ft covered patio, refreshing pool and spa, built-in BBQ complete with granite counter tops, entertainment bar, wash sink, exhaust hood, bun warmer, sound system and a private putting green for the golfer in the family. Brick walls, rod iron gate, storage shed, covered front door entrance, multiple fruit bearing trees and no back neighbors. Many more upgrades include: new pool pump, owned solar for pool use, air conditioner is less than 5 years old, whole house has been recently replumbed with AquaPEX tubing, finished 3 car garage with work station, cabinets and custom flooring. This home is for the discriminating buyer that wants more than just your typical home. Don t miss your opportunity to see all that this home has to offer." "A MUST SEE! To appreceiate***Welcome home to the peaceful Honey Ridge neighborhood. location location location! Two story light and bright view home with private in ground spa, all new windows, entertainment backyard and many upgrades! All 4 bedrooms are generous in size and upstairs, The most beautiful views from the tall picture windows on the landing with shutters!Views of blue mountain from bedrooms and stepped backyard. New designer paint colors, large master ensuite, 3 car garage and so much more! Fantastic Neighbors Too! Fantastic schools! A Fast 5 minutes to Loma Linda University Medical Center! Shopping and Restaurants near by too!! Sure to please, come see!" "Beautiful home at Grand Terrace Community. with a Three Bedrooms & Two full bathrooms. Kitchen with granite counter tops and laminate wood floors a bamboo style, with a large living room. Also a lovely backyard with a beautiful garden. Calming atmosphere. Half a mile walk in middle Grand Terrace middle school and 5 minutes drive to Grand Terrace high school." 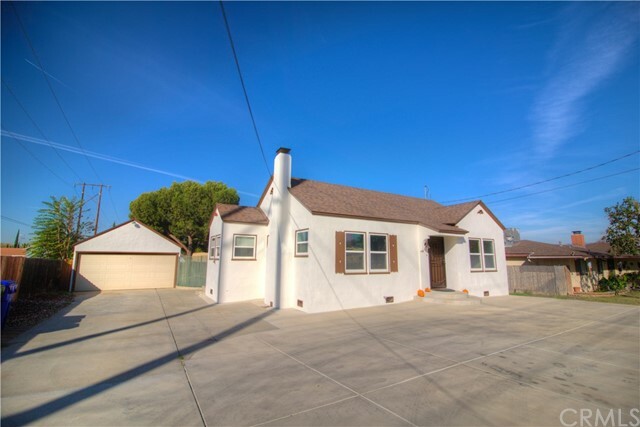 "A beautiful well-maintained home in Grand Terrace!! This 3 bedroom home has the possibility of an additional 4th bedroom, or bonus room. You will love the peaceful setting as you walk in to living room and flows into the dinning room and kitchen. This home shows true pride of ownership and is move in ready!! 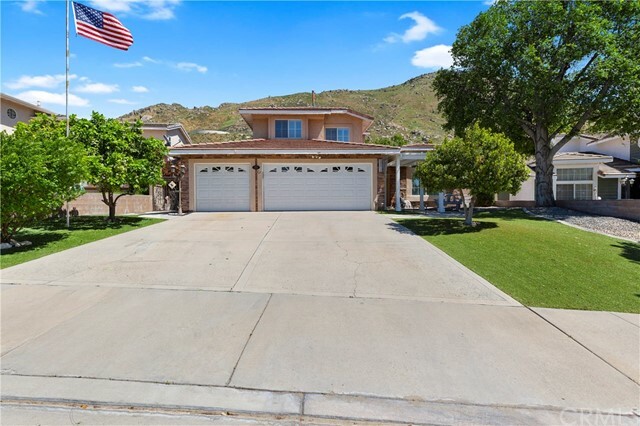 Enjoy the landscaped back yard with mountain views and plenty of room for you and your family. Centrally located, close to shopping, grocery stores, restaurants and easy access to freeways! Put this home at the top of your list to preview today!" 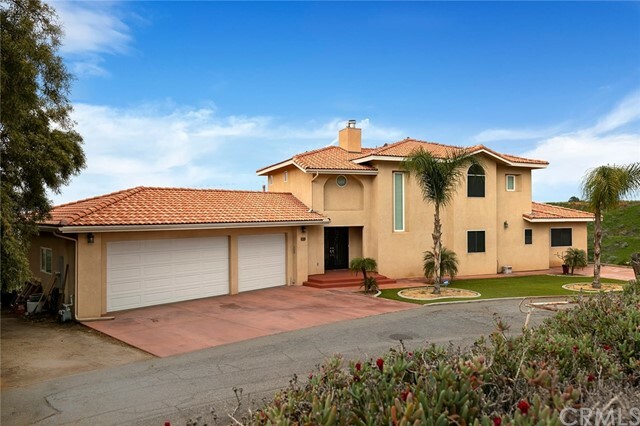 "This Grand Terrace one-story home offers an in-ground pool, a fireplace, and a two-car garage. Upgraded features include fresh interior paint in select rooms throughout the home." "FURNITURE INCLUDED, WASHER, DRYER, & REFRIGERATOR INCLUDED! Highly desirable Greenbrier Lane Community w/ mostly medical field professionals & a low maintenance style of living. This picturesque community has a small town vibe w/ urban-close conveniences that make it perfect for just about everyone. 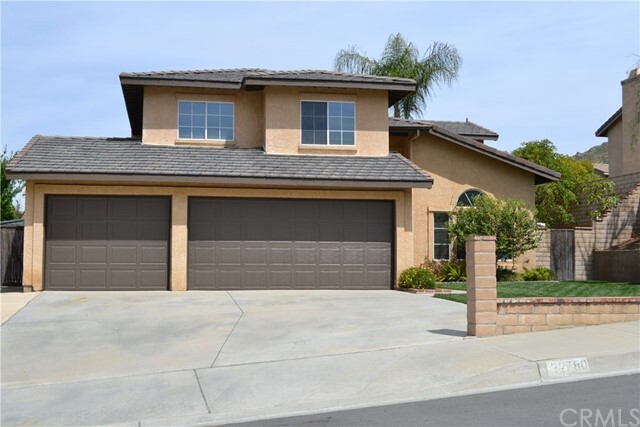 Only 3.5 miles from Loma Linda hospital which is perfect for those in the medical field. This Spanish Style charming newer home in Greenbrier Lane is 1894 sqft. 4 bed 3 bath (1 Bedroom & Full Bath Downstairs!). Home is completely detached w/front yard, back yard & side yards. Backyard includes 10x9ft concrete patio slab. Home interior includes many Model like Upgraded features. 9ft Ceilings down stairs, Mohawk Wood Laminated Floors, Granite Kitchen Counter tops w/ full Glass Tile Backsplash, White Shaker Cabinets with Stainless Steel handles & Stainless Steel Appliances. Home features a Large Master Suite w/ Large walk-in closets. Mater Bath includes 6ft tub & separate Shower, Beautiful Pedrafina Quartz Counter Tops. Large Laundry room w/ Cabinet & Sink. k. Home is energy efficient w/ Dual Pane Windows, Tankless Water Heater, Radiant Barrier, Split A/C Controls for upstairs & downstairs comfort & More. Pre-wired Ceiling fan boxes w/ Switches. Come see this charming neighborhood w/ striking entry monuments, a rich street presence w/ landscaping throughout, & its 2 parks; fenced in Dog Park & Picnic Park w/ trellises, benches, and barbecues. Green Bldg Verification Type: CAGB,ENGS." "Get ready for the pool parties! Dream home nestled in hills of Grand Terrace on a very beautiful, quiet street. Curb appeal galore, water conserving, low maintenance landscaped front and backyards. Home is immaculately maintained with new stucco, rain gutters, drip system, whole house fan, tankless water heater and more. All rooms are large and spacious. 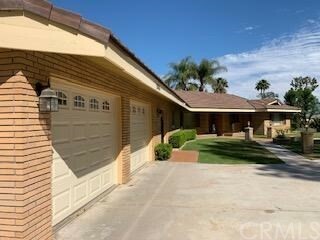 Gorgeous original hardwood floors throughout, 2 beautifully renovated bathrooms and one in the garage for pool parties or a quick shower after working in the garage. Large sliders in the master bedroom and livingroom lead to covered patios and beautiful mountain views. You will be absolutely amazed at the craftsmanship in this custom Kitchen. Beautiful glass tile back splash compliments the custom concrete counter tops. Gorgeous dark wood cabinets with soft close drawers and tons of storage space. Stackable washer/dryer and refrigerator included. Pool is tranquil and beautiful with dark blue and gray plaster." "Bring all offers!!! Looking for a quick sale!!! 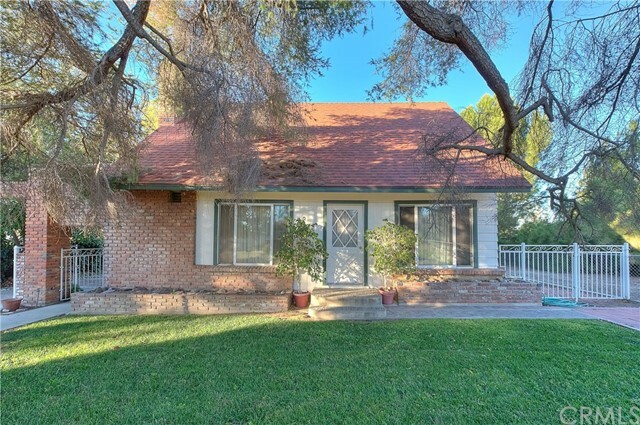 Charming 3 Bedroom 2 Bath Ranch Style home located in Grand Terrace! Situated on a large corner lot...has a large side yard for storing RV, Boat or other Toys! Home has SOLAR PANELS - PAID - NOT LEASED offering very, very low electric bills! Low maintenance back yard with a new storage/work shed!" "POOL HOME This is the perfect set up for enjoying the summer weather by the pool with concrete walkways and a raised wood deck. The Cabana has a 1/2 bath Inside the upgrades include: tile flooring, granite counter tops in the kitchen, central heat & air conditioning, windows. Plenty of concrete for parking and a 2 car garage. Grand Terrace is conveniently located between Riverside and San Bernardino just off of the 215, ten minutes from Loma Linda and Redlands." "Open floor plan 3 bedroom 2 bath 2005 mobile home located in the Grand Royal Estates Family Park. Large Master Bedroom with walk in closet and large private bathroom. Located near 215, 10 and 60 fwys, schools and shopping centers"
"********Reduced Price******** Welcome, Home! 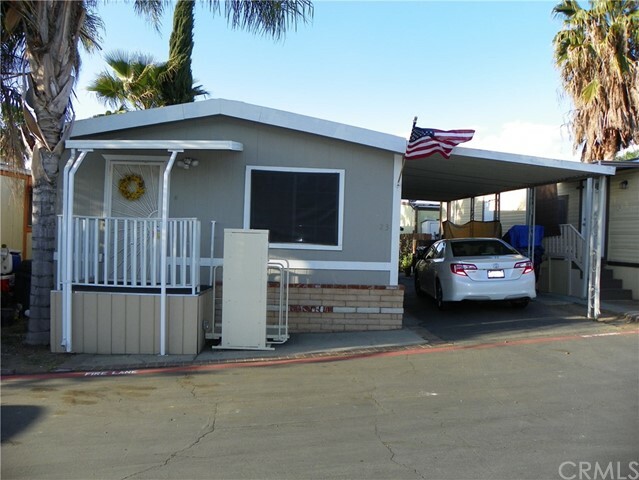 This Home in located in Grand Terrace Mobile Homes Park close to Loma Linda University and Hospital. 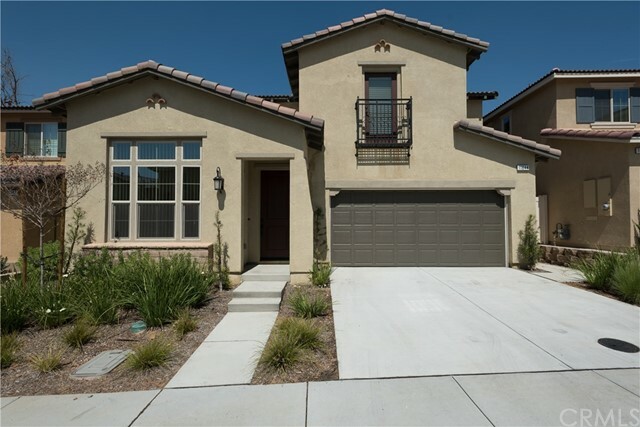 Seconds from Grand Terrace and Colton areas of scenic hillsides views and of the Inland Empire, plus you're conveniently minutes from the 10, 91, 210 & 215 freeways. And just moments from Downtown Riverside. It is close to major shopping areas in Riverside, VA Hospital and Loma Linda Hospitals. This Spacious home offers an Open Floor plan with 2 bedrooms and 2 bathrooms. 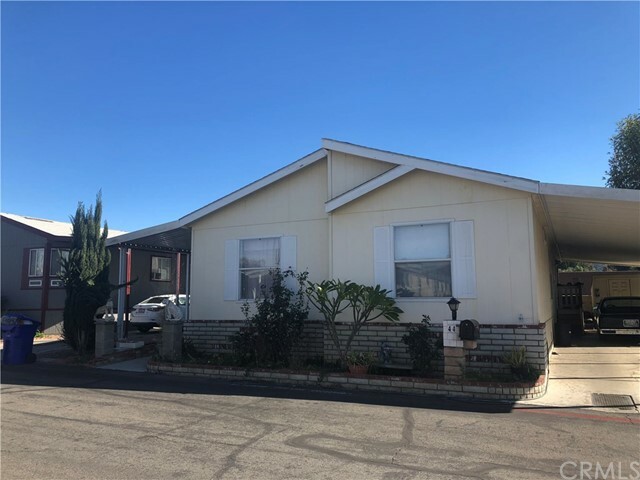 Upgraded interior with New Laminate Flooring, Remodeled Bathrooms with Toilets with H2Optimum Round Two-Piece Siphon Jet Technology, Remodeled Kitchen with New Island and New Countertops. Soft Close Cabinets, New Paint and Crown Molding throughout the home plus Exterior Painted. Spacious Kitchen with Dishwasher and Stove. New Carpet in the Master Bedroom and 2nd Bedroom. Indoor Laundry area (closet) and a New Water Heater. Community Park includes Fitness, Tennis, Track, and Play. No HOA Laundry facilities on site as well. Property being SOLD-AS-IS. No repairs will be made. Cross qualification, Approval Letter, or DU Approval and Proof of Funds is a Must!" "Must See!!!! 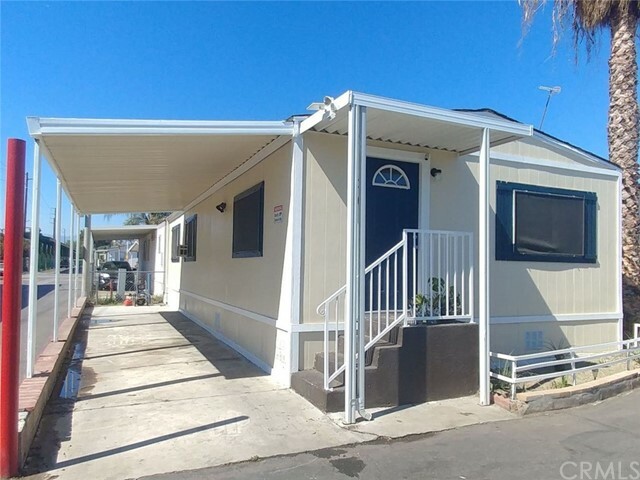 Great Starter Manufactured Home With 2 Bedrooms! In The Grand Terrace Mobile Home Park. Belongs To The Terrace Hill Middle School, Grand Terrace Elementary School and Grand Terrace High School. Between Riverside Tyler Mall & Mission Inn Hotel and San Bernardino Shopping Centers minutes away. Electrical Lift Gate Included In The Sale!!!!"